Today is the day ... World Down Syndrome Day. Today is the day that we aim to promote awareness and understanding of Down syndrome and related issues ... and to mobilize support and recognition of the dignity, rights and well being of people with Down syndrome. 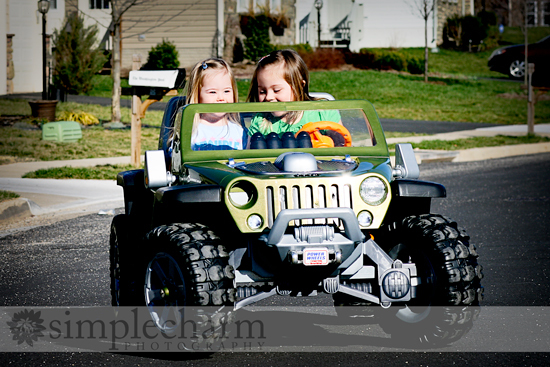 Today is the day that we honor our girls ... and all of the other fabulous people with Down syndrome in this world. In honor of this special day and my love for networking with other completely-inspiring-super-awesome parents of children with Down syndrome ... I present to you Real Life | Down syndrome. Real Life | Down syndrome is a comprehensive look into raising a child with Down syndrome ... for the parents, by the parents. In other words, it brings the stories of parents across the world to one place. It is broken down into three main categories -- birth stories, life stories and medical hurdles -- allowing parents ... no matter where they are in their journey ... to find other parents that have been in their shoes. Someone to identify with ... someone to contact when you have questions. Disclaimer ... I am still perfecting text and tweaking things here and there ... I welcome your suggestions! In order to follow each of the three main categories via google reader or other feed, you must separately follow each one. Annoying, I know -- I'm sorry! That is just the way I had to set it up for now and until I have time to make it better, this will have to do. The families tab will be updated as needed ... and it is far from complete as it is. So ... if you are not yet listed on the blogroll, please get me your child's name, your blog name and your blog URL so that I can add you. The resources tab will also be updated as needed ... and it is also incomplete at this time. If there are any resources that you would like to see added, please let me know. The birth stories, life stories and medical hurdles tabs will be updated several times per week. I need your stories! Please contact me for more specific information. I hope you like the website ... and again, please tell me what else you might like to see! You're awesome Bethany!! I love it!!!! The site looks awesome ... Really incredible Bethany! Feel free to add our info and I'll get a story out to you ... I am supposing under "medical issues",don't you think? I LOVE the new site Bethany and think it is such a great idea! I am working on my story of Joel and will get it to you soon! Can I send you some links for the resources tab from Canada? I noticed that you have one for Ontario but there are some from Alberta that I can send to you too. ok this might be a dumb question, but do both your girls have ds? Simply amazing, Bethany!! You never cease to amaze me with your talents and just how do you find time to do all this?? What a great idea. Thanks for taking the time to do this for us. This brought me to tears!!!! Bethany...this is so fabulous! ...and I love that we were already on the families list ;)...I love that our little lives collided because of our children...and so glad that so many other families will find encouragement through not only your blog but through the Real Life/Down Syndrome sites, yahooo! Beautiful site! You're amazing. I would be honored to contribute Goldie's birth story. Blog: We may not have it all together, but together we have it all. This is beautiful, Happy World Down Syndrome Day! happy world down syndrome day!!!! Great new site! I love the focus on real life. I remember when Macy was first born the thing that helped me the most was seeing families just living their real and normal lives. Their world didn't end, lol! That is mostly how I see it now, we just do our thing, like we did before and it is great! The site is amazing!! It is exactly what I had been looking for when we got our diagnosis! Ok so I am so intrigued by your two beautiful girls!! I want to know the story...did you adopt one of them? It makes me want another girl with DS in my home! !If you want you can email me a little about your story...keciajcox@msn.com. Darling Darling family!! !SO glad I found you to inspire me! Love love love LOVE it! Thanks for including us on your list! I would love to send you a little write-up about Rylee at some point! Thanks for doing so much to share our journey of Ds with everyone! WOW! What an amazing site! It's so informative, I can see it being a real place for community, for sharing, for learning, for inspiration! AND... it's just beautiful! Well done and THANK YOU for putting this out there! BTW... do you have a button/link that I can put on my blog? Ah, what a wonderful idea!!!! Beautiful site, Bethany!!! I'll send you some stuff after I edit it (such as a story). what a great job you're doing w/the website! I think I STILL need to get you some pics of Kayla for her link/story! oops! Forgot to tell you Kayla's bday info - 7/2003.